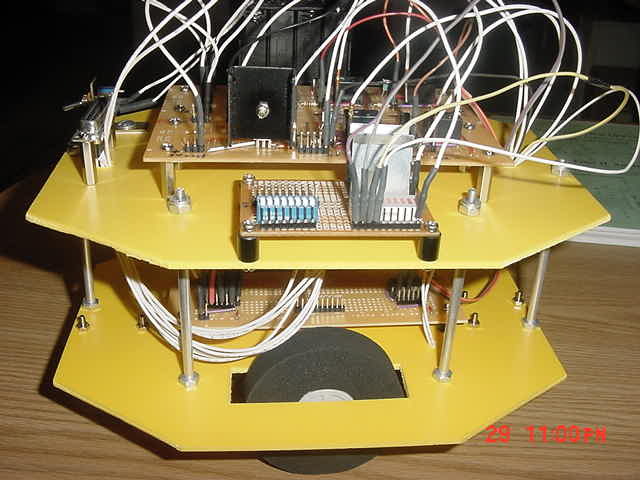 The robot consists of a H-bridge driver built from SPDT Relays. The interface to the parallel port consists of 74367 chips. diferential drive stearing to get around. The construction materials used are plastic sheets and 3"
Radio Shack and the motors are from The Robot Store. design, more robust software, and whatever else I think up. My email is curtis@ndak.net if you have any questions/suggestions.